Best known for Silvester and the Magic Pebble and Shrek, William Steig outdid himself with this richly-illustrated and imaginative tale. 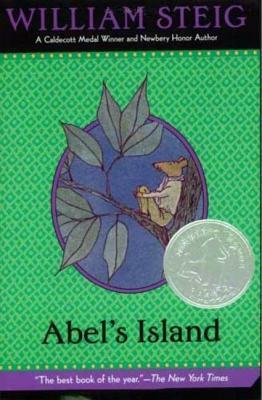 Abelard Hassam di Chirico Flint, of the Mossville Flints, is a well-to-do mouse whose world is turned upside down when he is stranded on a deserted island after being caught in a torrential rainstorm. Pining after his faraway wife and learning to fend for himself in the wild, Abel embarks on a journey of self-discovery that will resonate with readers of all ages. William Steig (1907-2003) was a cartoonist, illustrator and author of award-winning books for children, including Shrek!, on which the DreamWorks movies are based. Steig was born in New York City. Every member of his family was involved in the arts, and so it was no surprise when he decided to become an artist. He attended City College and the National Academy of Design. In 1930, Steig’s work began appearing in The New Yorker, where his drawings have been a popular fixture ever since. He published his first children's book, Roland the Minstrel Pig, in 1968. In 1970, Steig received the Caldecott Medal for Sylvester and the Magic Pebble. His books for children also include Dominic; The Real Thief; The Amazing Bone, a Caldecott Honor Book; Amos & Boris, a National Book Award finalist; and Abel's Island and Doctor De Soto, both Newbery Honor Books. Steig's books have also received the Christopher Award, the Irma Simonton Black Award, the William Allen White Children's Book Award, and the American Book Award. His European awards include the Premio di Letteratura per l'infanzia (Italy), the Silver Pencil Award (the Netherlands), and the Prix de la Fondation de France. On the basis of his entire body of work, Steig was selected as the 1982 U.S. candidate for the Hans Christian Andersen Medal for Illustration and subsequently as the 1988 U.S. candidate for Writing. Steig also published thirteen collections of drawings for adults, beginning with About People in 1939, and including The Lonely Ones, Male/Female, The Agony in the Kindergarten, and Our Miserable Life. He died in Boston at the age of 95.